Psyllids, or jumping plant lice, are small plant-feeding insects. They tend to prey on particular plant hosts, depending on the species. 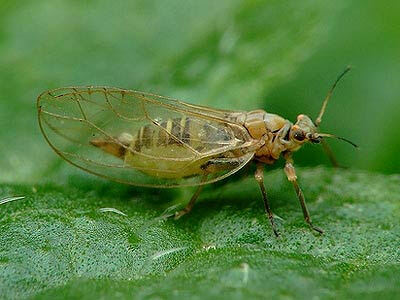 They are a kind of true bug and are important plant pests.